Lowest Priced Property East of Route 1 In Town Fenwick Island with 2 Bedrooms and 2.5 Baths with an Entry Level Flex Room that has been rented used as Bedroom in past. 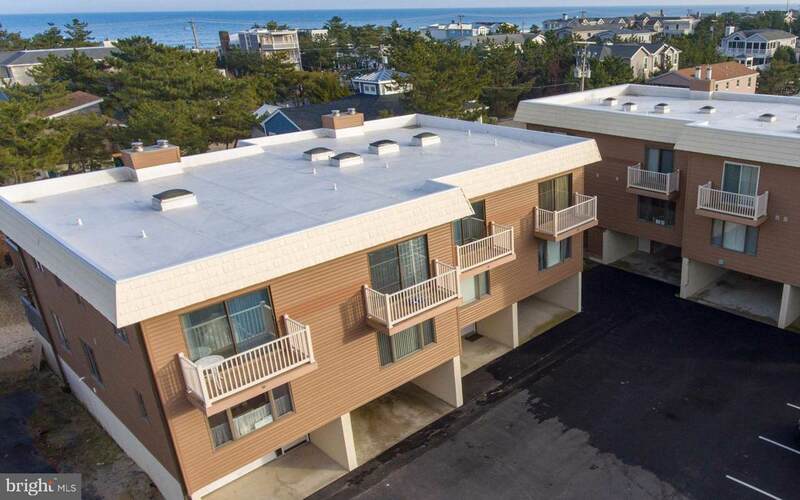 Walk ONE block up to the Beach or to Restaurants and Shops! Small Community. Open Great Room, Dining and Kitchen with Powder Room on Main Level. Upstairs 2 Bedrooms and 2 Full Baths - Owner Suite with Private Bath. Decks on Front and Back in Bedrooms. Deck at Great Room. In Real Estate this IS Location Location with short Steps to Beach, no Crossing Rt. 1, and potential to build out Carport area to gain more living space. New Roof in 2017 and Recent Repaving of Parking Lot. Assigned Parking plus Covered Car Port. Great Rental/Investment Potential.